If the Goathead is out, what about the Bisons? 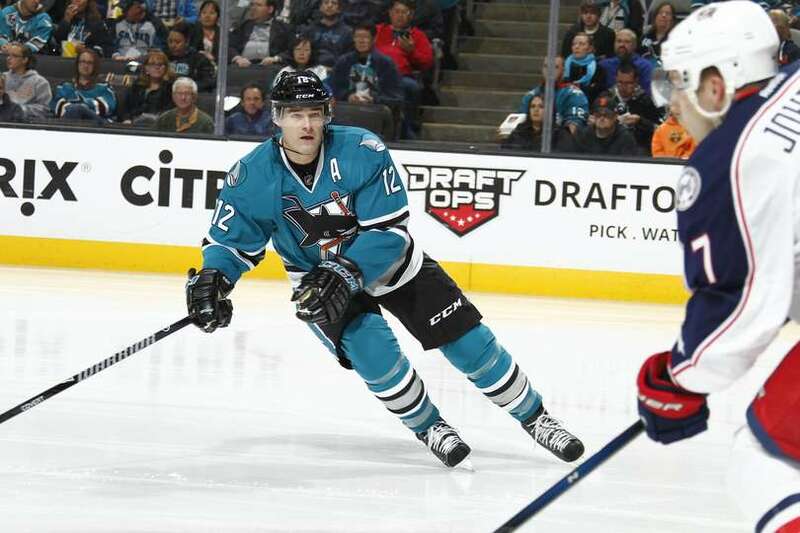 Donning throwback jerseys isn’t a foreign practice in the NHL. 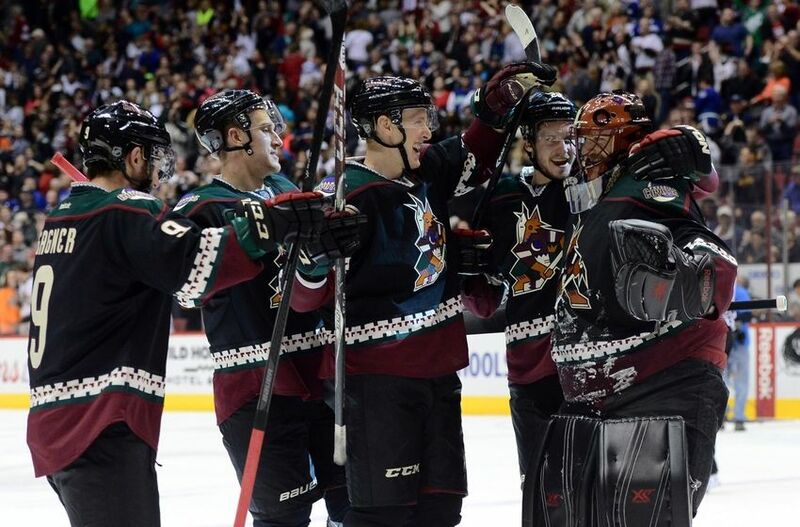 Countless teams have utilized a throwback style jersey for their alternate uniforms for some time now. However, a different, slightly more unique take has seen a few clubs don throwback jerseys for one-off games in an effort to switch up their look for a night to a bygone era. These one-off jersey nights have given me hope to see the Sabres bring back their black and red uniforms once or twice a season in a fashion similar to their league brethren. However, it would seem as if that’s nothing more than a pipedream as there have been multiple mentions (in previous blog summits for example) of the disinterest in looking back to that particular era of Sabres hockey and the ownership troubles that came with it. With that in mind, perhaps the Sabres would consider a different look for a cool, one-off jersey night. That of the Buffalo Bisons hockey club that preceded the Sabres from 1940-1969. 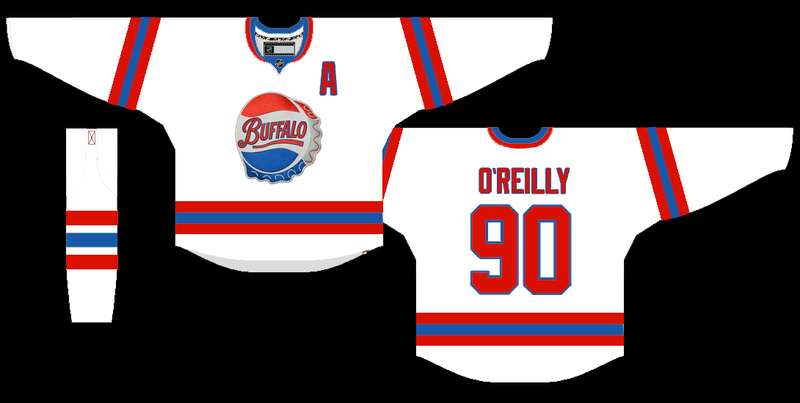 The Bisons bottlecap jersey is among the most iconic looks in Buffalo sports history and certainly holds a special place in the hearts of hockey nuts around the continent. This year would have been a perfect opportunity to put the Bisons jersey into the rotation on a one or two-game per season basis as 2015-16 marks the 75th anniversary of the inaugural team. You can actually buy Bisons jerseys through a small third-party site online and I’ve even seen an Eichel Bisons bottlecap jersey in a couple of photos from the Displaced Sabres Fans group. So I think it’s safe to say a line of Eichel, Reinhart, Ristolainen, O’Reilly and Kane jerseys would fly off the shelves along with other Bisons/Sabres branded apparel. 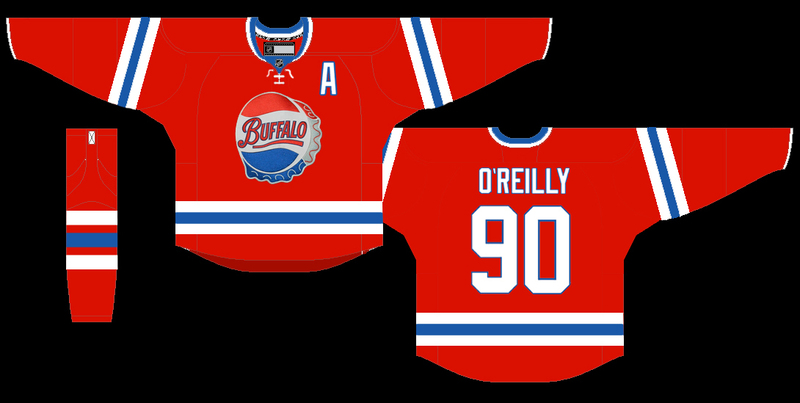 As I wont to do from time to time, I mocked up a basic jersey based off the previous uniforms the Bisons wore throughout their history. This is more or less a direct recreation of the uniform worn later in their existence (1968-69 (nice)) and incorporates everything you’d want to see. The classic bottlecap, the bright red uniform and unique striping pattern. I included a white version as well, but I think the red would look much better on the ice should the team ever decide to go this route. It’s possible that there are copyright hurdles to clear given the Pepsi bottle cap design and the fact that Coke is now aligned with the organization. Still, for a city with such a rich hockey tradition, it wouldn’t hurt for the team to honor their past and the city’s past with something like this. Plus, I bet these would outsell the Turd Burgers. Previous Article Who needs Batman when you’ve got Robin? Next Article Stamkos and the Sabres; Is it a fit? My family had Bison season tickets, first row behind the net, and were booster club founders. Love the idea of honoring the Bisons and Buffalo hockey history in this way!